Presentations have a bad reputation for being boring. Invigorate your presentation with a simple and colorful design that conveys all the important details! Perfect for creative professionals who are tired of generic templates and want a presentation that captures their audience’s attention. If you’re looking for an effortless way to create a memorable presentation for a lively business setting, the Simple and Colorful Presentation Template is designed for you. Show your positive company culture with the playful template and easily customize it to fit your needs. Save yourself the time of building a template from scratch and the hassle of the difficult design work involved! The template is available to download now for instant use. 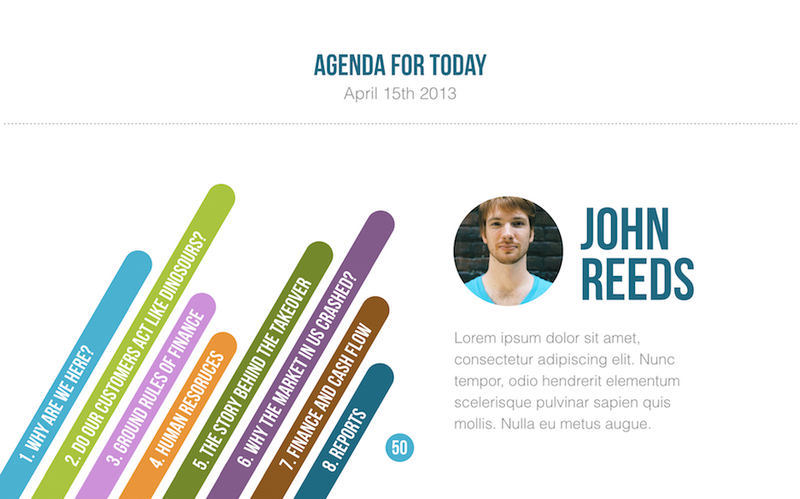 What's included in Simple and Colorful Presentation Template?